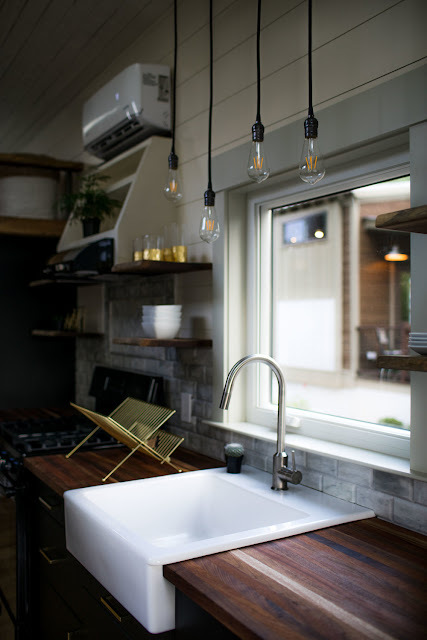 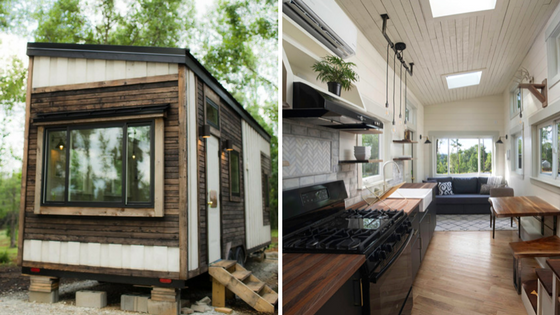 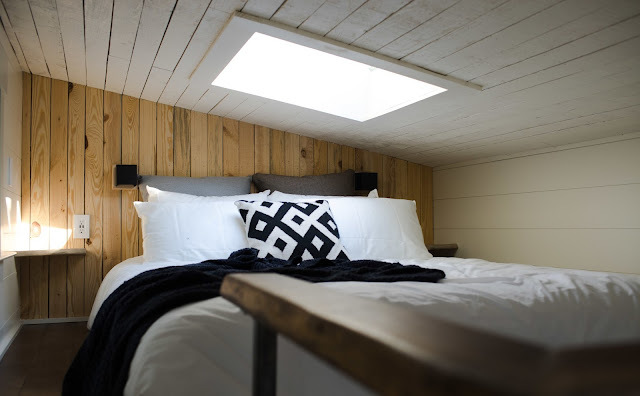 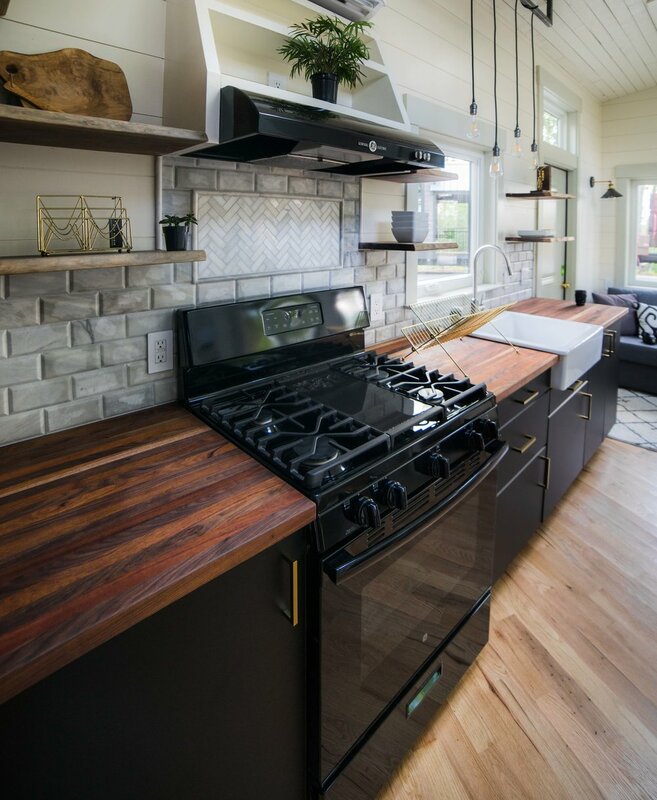 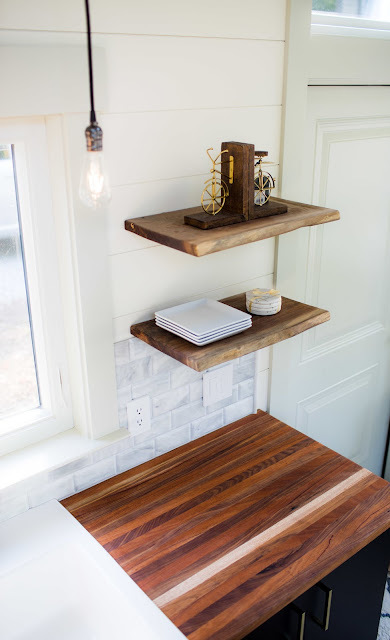 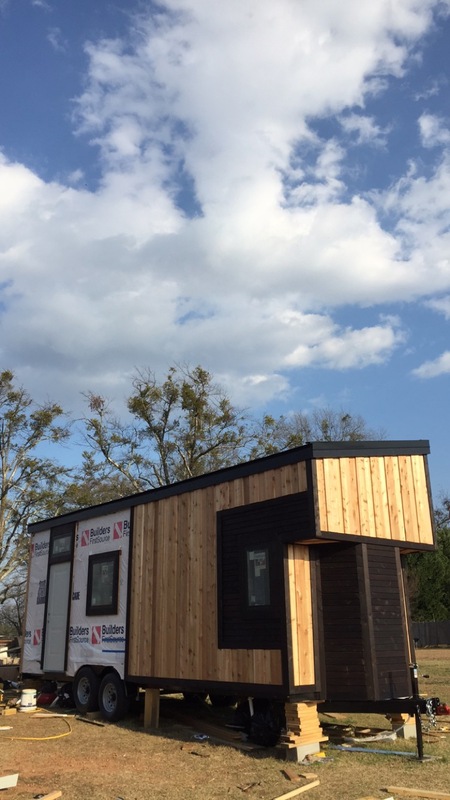 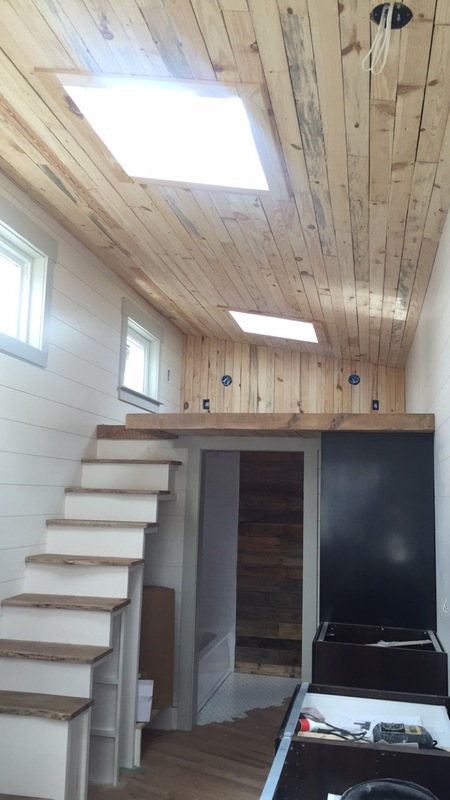 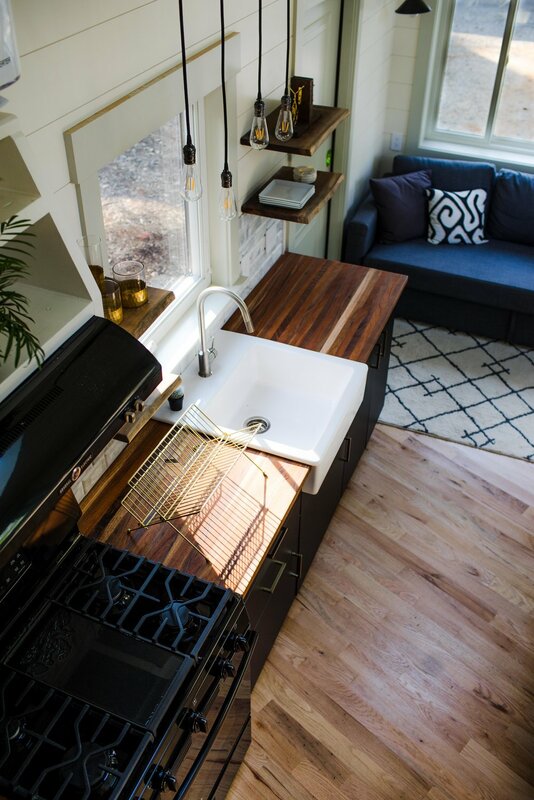 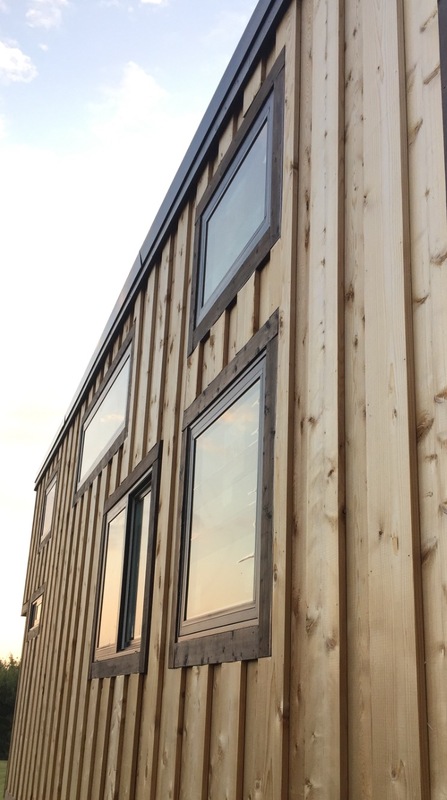 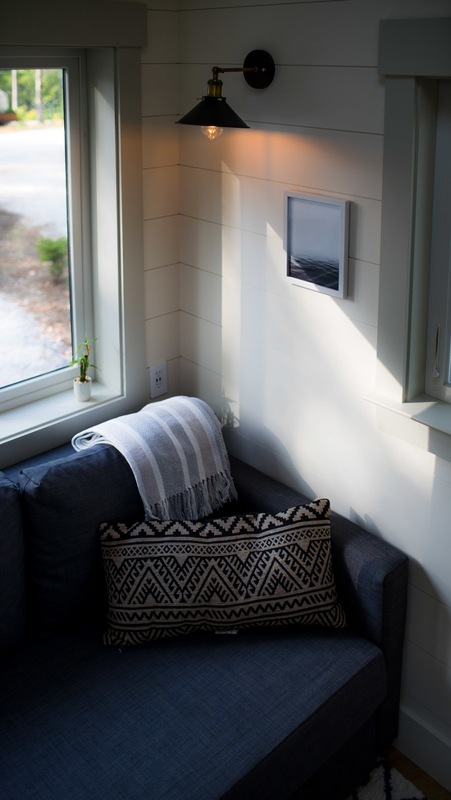 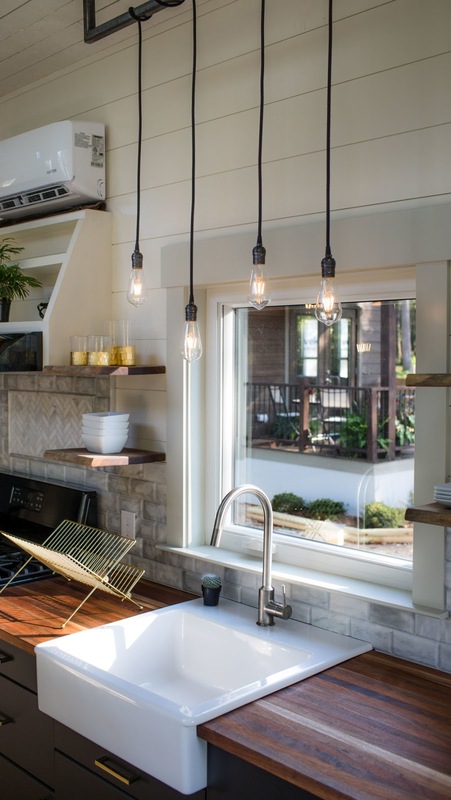 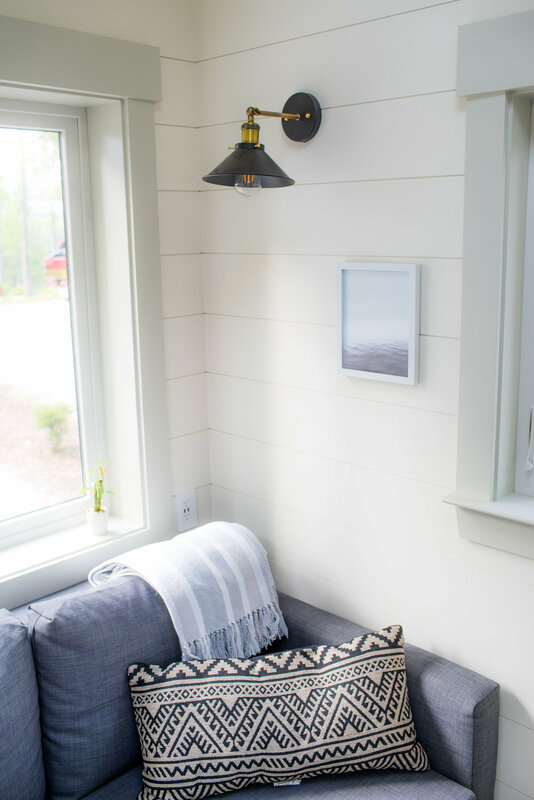 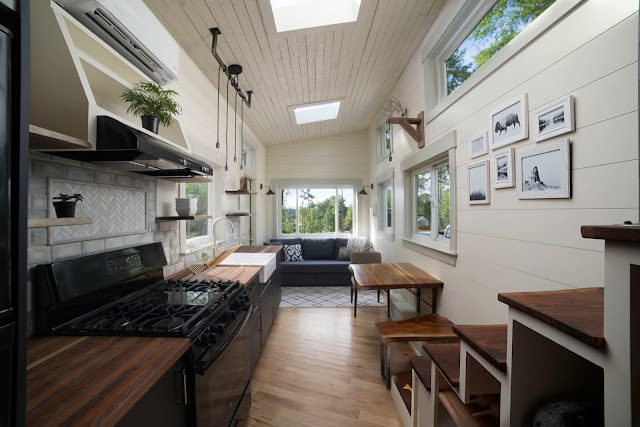 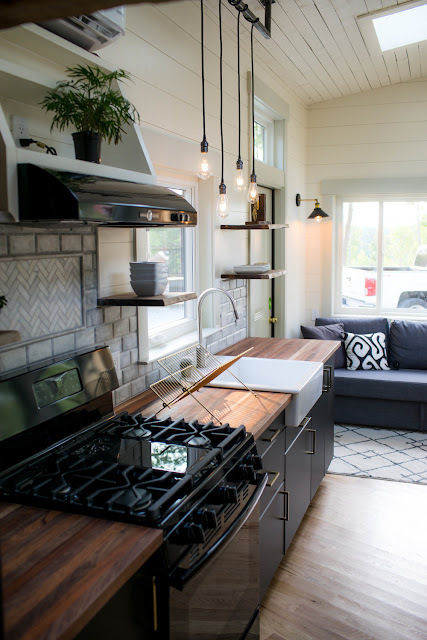 Say hello to The Legacy: a beautiful and move-in-ready tiny home from Wood & Heart Building Co! The home measures 26' x 8.5' and features a beautiful cedar exterior with a standing seam metal roof and closed cell sprayfoam insulation. Inside is a relativley room layout with 13 windows and 3 skylights to bring as much natural light into the home as possible. 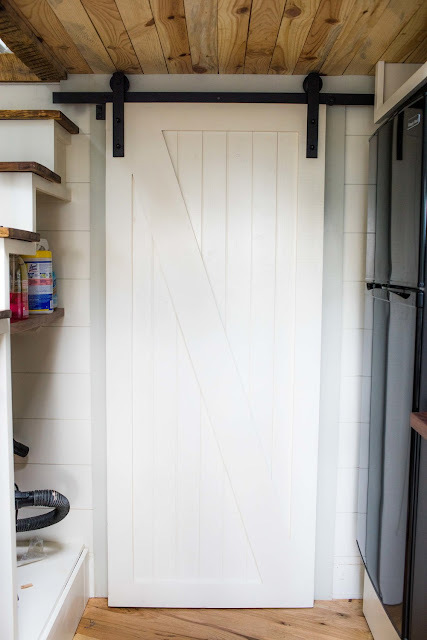 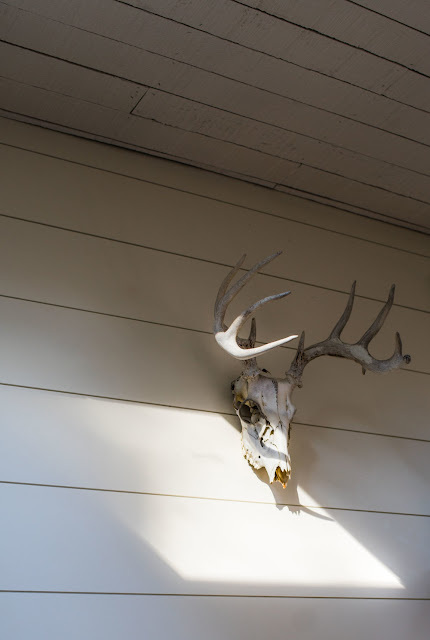 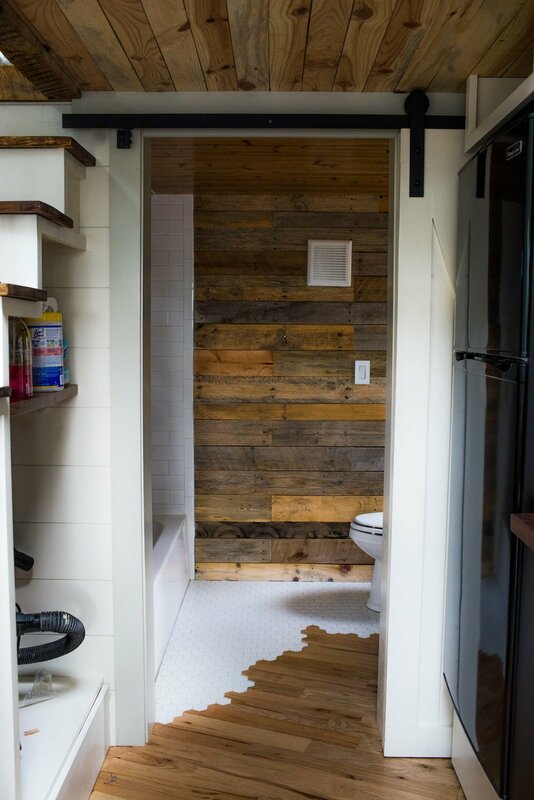 There's also shiplap walls, a reclaimd rough-sewn ceiling, and oak flooring. 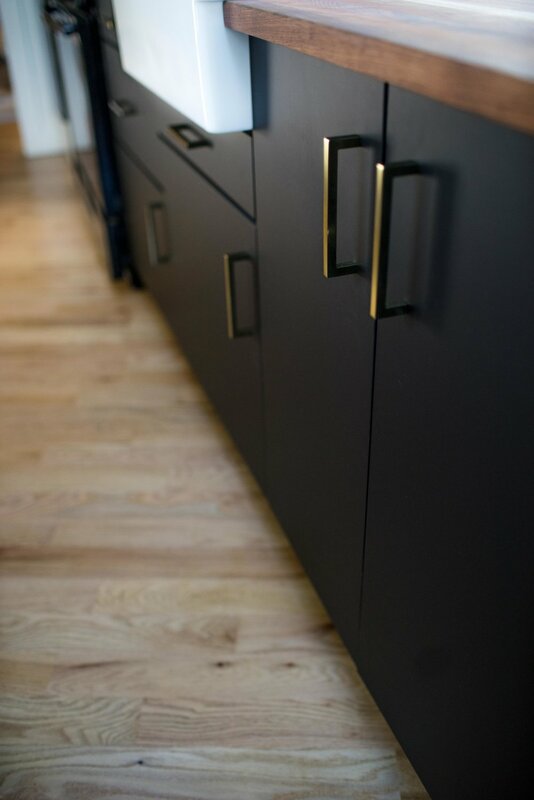 The Legacy's kitchen comes with everything you need: a fulls-zed gas range with a vented hood, black walnut and African mahogany butcherblock counters, a beveled caraara marble backsplash, and a 24" farmhouse sink. 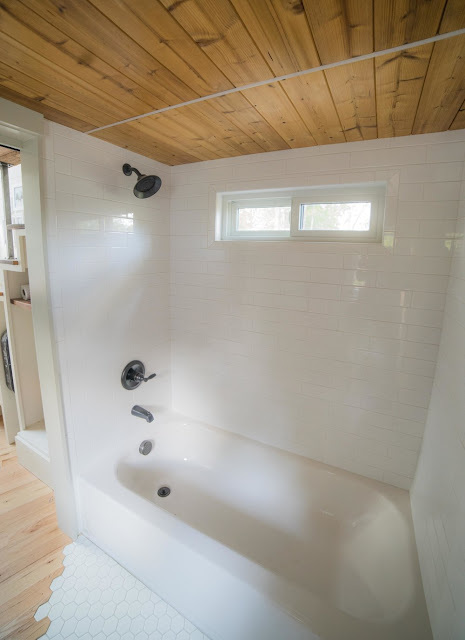 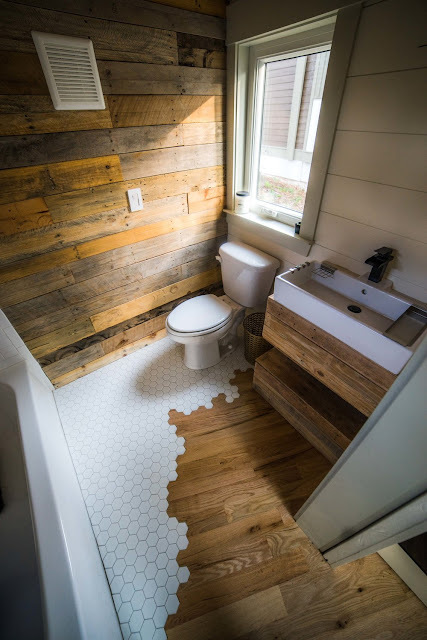 Also included in the home is a live-edge black walnut dining table with a built-in bench, a full-sized pullout sofa with storage, and a full bathroom with a full-sized tub and tiled shower! 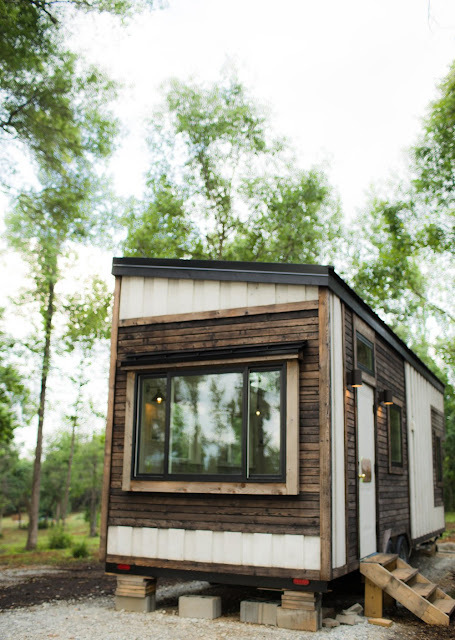 The Legacy is currently available for sale in New Hampshire for $85,000. 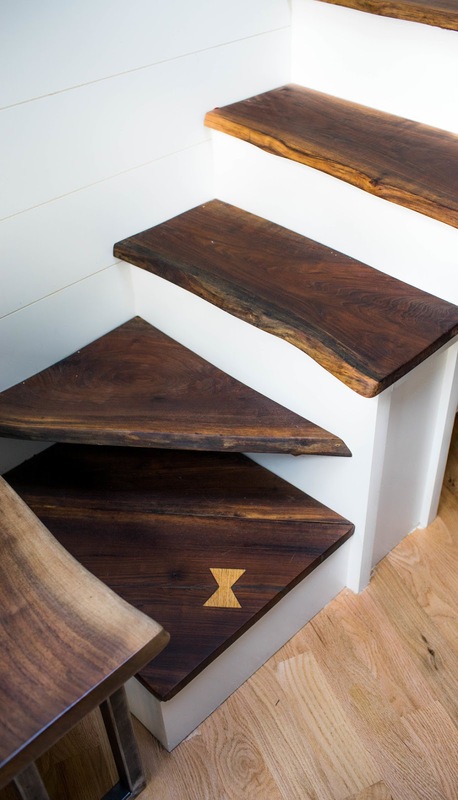 Contact Wood & Heart here for more info and/or inquiries. 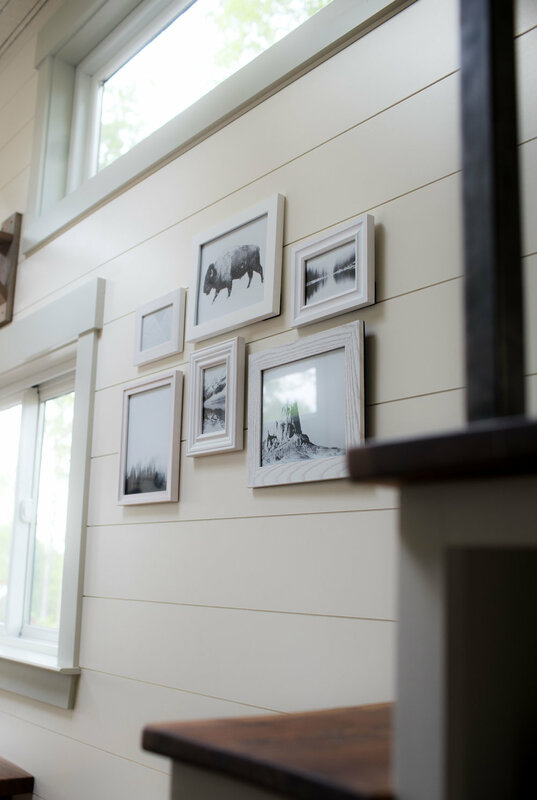 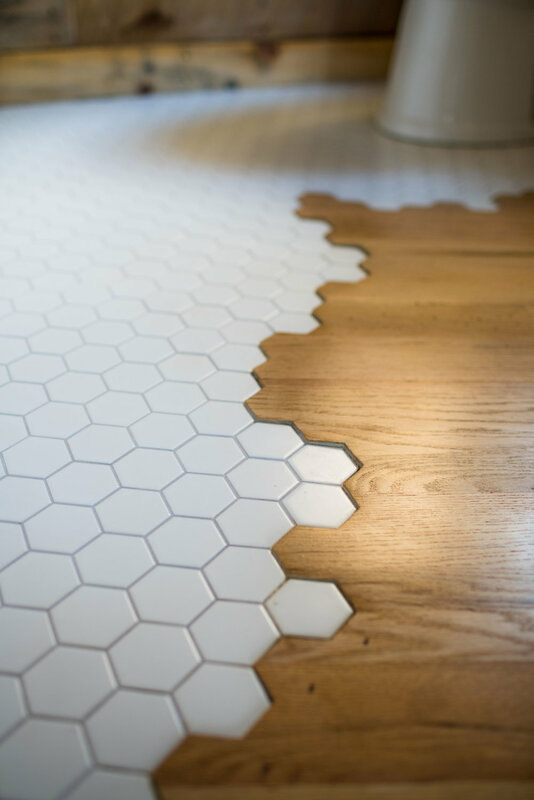 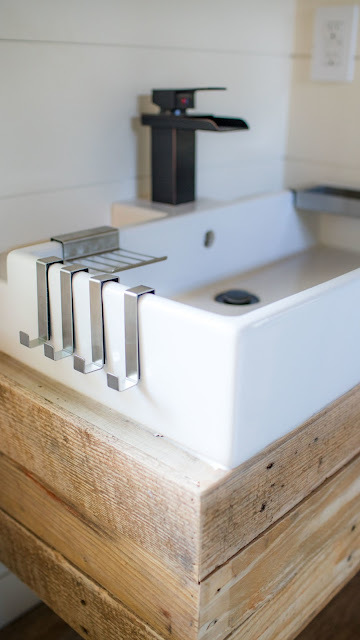 Images © Wood & Heart Building Co.